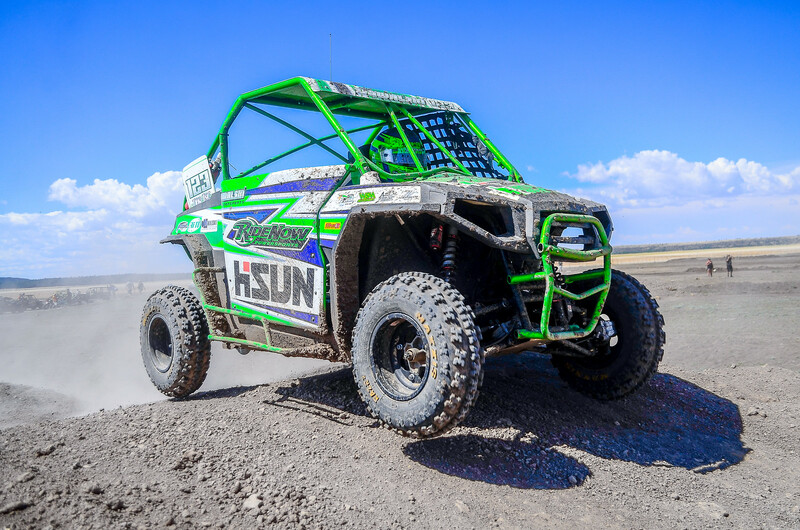 McKinney, TX – July 16, 2018 – HISUN Motors factory racer Ian Kowalski earned his third UTV 170cc /Trophy kart podium finish of the season on Sunday for Round 7 of the Arizona Offroad Promotions (AZOP) Race Series in northern Arizona. After a tough fought battle, Kowalski was able to outlast the competition and grab second place despite the rough and unpredictable track conditions at the Mormon Lake Grand Prix. Ian got off to a great start as he maneuvered into a great position on the opening lap. After a few laps, he was able to capitalize and move into second place keeping himself close to the leader. From there, he kept a steady pace all the way to the checkered flag, his first podium position after seven tough weeks. Kowalski: "This has been an exciting year for us. Our results don’t show how great we have been running. Having the opportunity to develop a new race car comes with trial and error, but we think we have a lot of things worked out and are excited for the rest of the season." Despite the unpredictable track, Ian was able to record the fastest lap (2:36) of the race, outpacing the competition both Saturday and Sunday. Previously, Kowalski finished first place in Round 3 at Q-Town Grand Prix and took first place during Round 4 at 93 North Grand Prix of the 2018 AZOP Race Series. You can follow Ian on his official Facebook page as he prepares for the second half of the race season.